Cleveland Clinic Akron General ED Construction Tour - Hasenstab Architects Hasenstab Architects - Located in Northeast Ohio, Hasenstab Architects specializes in healthcare, simulation, laboratory, research, higher education, k-12, and office design. 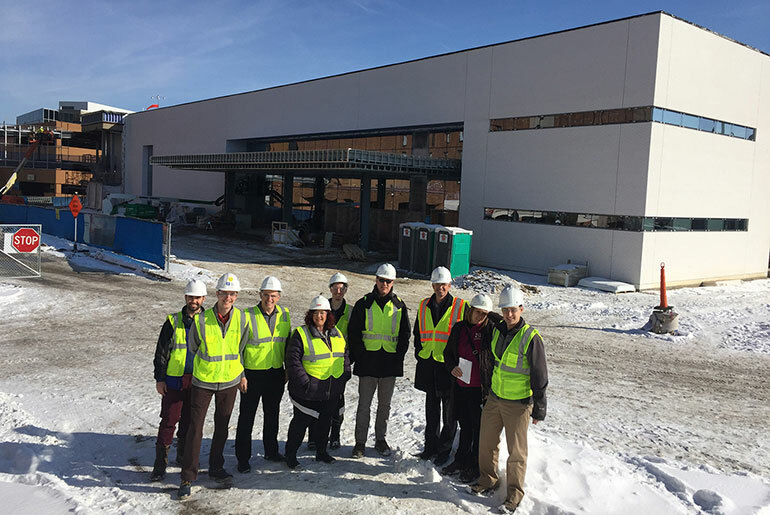 Hasenstab team members toured the construction progress for the new Cleveland Clinic Akron General Emergency Department. The new, 57,000-square-foot Akron General ED will be completed later this year. The Level 1 Trauma facility includes 60 patient care spaces.